If you intend to purchase a business, conducting a due diligence process is critical to evaluate both risks and opportunities of the acquisition. It's a necessary interim step between the informal deal agreement and signing off on a legally binding contract. Due diligence aims to reveal the company's overall financial performance, potentials, position compared to the competition, and market projections. You will need the professional services of an accountant or a business valuator and a lawyer specialising in acquisition to review and analyse the information about the business. Contract terms and conditions should clearly define the assets and rights included in the purchase as well as the liabilities and obligations you will assume. Examine the company's balance sheets, cash flows, income tax returns and annual reports for the previous three years. Profits should be compared against losses, as well as sales growth rate versus costs to determine if the enterprise generates sufficient net income to be viable. Cross-checking the reported taxable income against financial records will verify whether accounting practices are above board and correct taxes are being paid. Unaudited financial statements will have to be corroborated by sales invoices, bank statements and loan accounts. 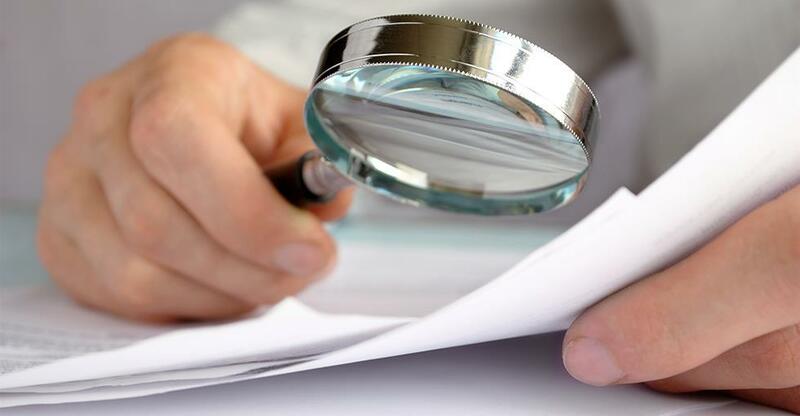 Conduct an ocular inspection of the business premises, facilities, machinery and equipment and test if they are operating in excellent condition. Confirm whether the company's intellectual property such as patents, copyrights and trademarks are in order and you acquire the rights as part of your purchase. Perform an inventory of the items on the assets list. Calculate the quantity and value of stocks on hand, keeping in mind their depreciation within a certain time period (e.g., fashion merchandise will go out of style by the end of the season). Check existing insurance contracts and lease agreements, and whether they are renewable. "Ensure that the necessary health and safety measures have been carried out with respect to water, sewerage and environmental concerns." Contact the Australian Securities and Investments Commission for information about the business for sale. Find out if the company has up to date permits and licenses for its business operations. Inspect whether its production processes, work safety practices, products and services adhere to government regulations and meet industry standards. Ensure that the necessary health and safety measures have been carried out with respect to water, sewerage and environmental concerns. Inquire from your local consumer affairs agency whether there are unresolved problems and pending complaints. Find out from the Australasian Legal Information Institute if the business has been subject to any litigation. Check with the Australian Competition and Consumer Commission if enforcement proceedings have been issued to the company. Investigate whether the company has strong relationships with clients, vendors, sub-contractors, distributors and other business partners to guarantee continued transactions and operations. Find out if contracts are long term or those due to expire will be renewed. Check for anticipated increases in suppliers' costs. Delayed bill payments that are due to vendors indicate cash flow problems. It takes some sleuthing prowess to learn why the owner wants to dispose of his business. Consider the length of time the company has been put up for sale in the market, the number of purchase offers it has received and why previous deals fell through. Some reasons for selling are bad news, such as mismanagement, losses or dim prospects. Whenever possible, ferret out inside information from employees about business operations. Customers can also provide valuable insight about the quality of the company's products and services. Compare the company's position relative to rival businesses and assess their potential threats to its survival and profitability. Information on competing companies may be obtained from the Australian Bureau of Statistics, trade associations or industry bodies. Company annual reports also furnish financial data. Your local council can also provide information about new businesses and similar ventures that will be established in the near future. Conduct feasibility studies on the industry or business sector. Evaluate if projected trends indicate robust growth, levelling or decline in market prospects and profitability. Explore possibilities for expansion or diversification. Assess the impact of an economic downturn on the industry and business. The exercise of due diligence informs you exactly what you are getting your hands on, together with the legal, financial and business obligations the acquisition entails.